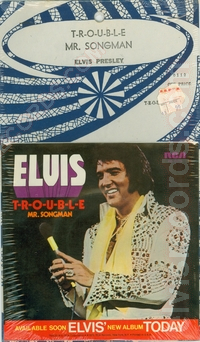 Cover: (4/1975) picture sleeve front and back. 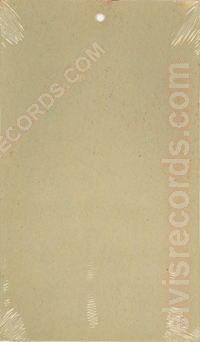 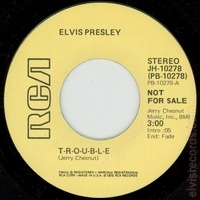 Disc: (4/1975) Yellow label, NOT FOR SALE. Note that the T-R-O-U-B-L-E stereo side is identical to that of the regular release. 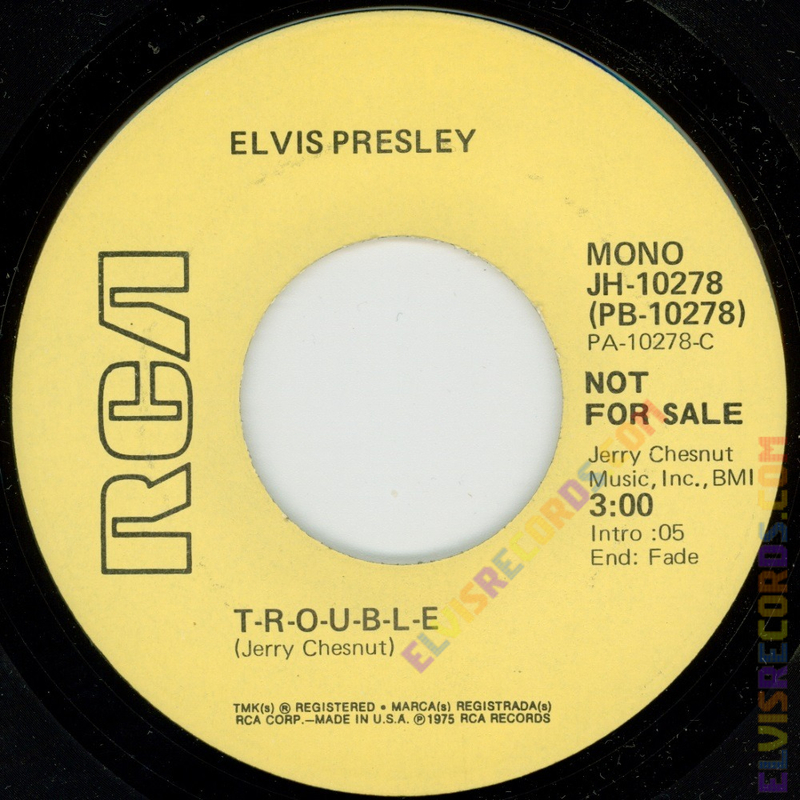 The flip side, side c is the monaural version of T-R-O-U-B-L-E not Mr. Songman, side b as is the regular release. THIS ONE PICTURED IS FAKE! 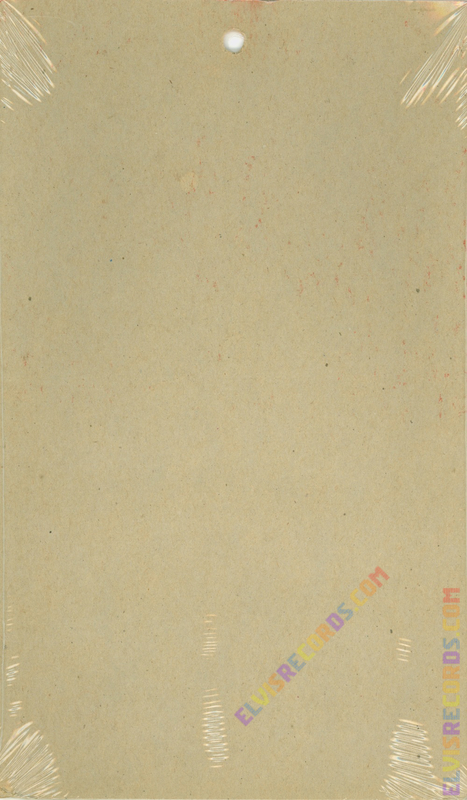 It took two years to see that. Many tells, but the most obvious one, the misspelled name Summer should be Sumner on the Mr. Songman side. 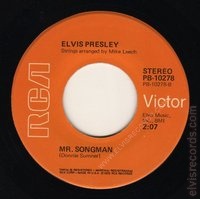 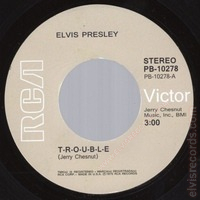 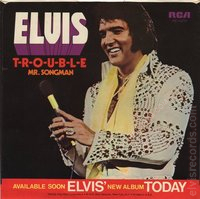 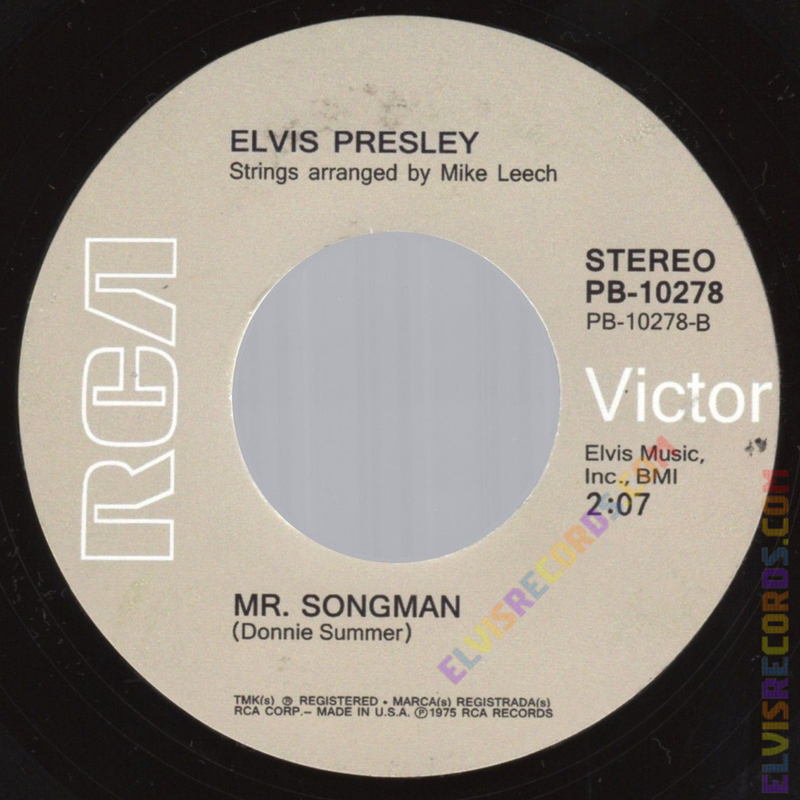 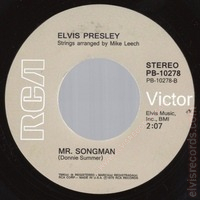 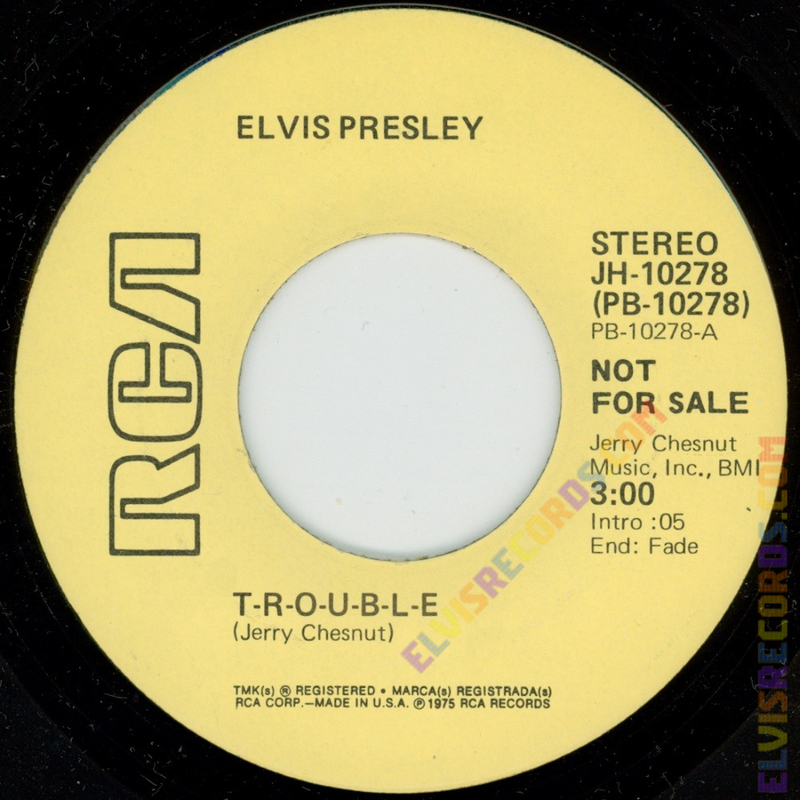 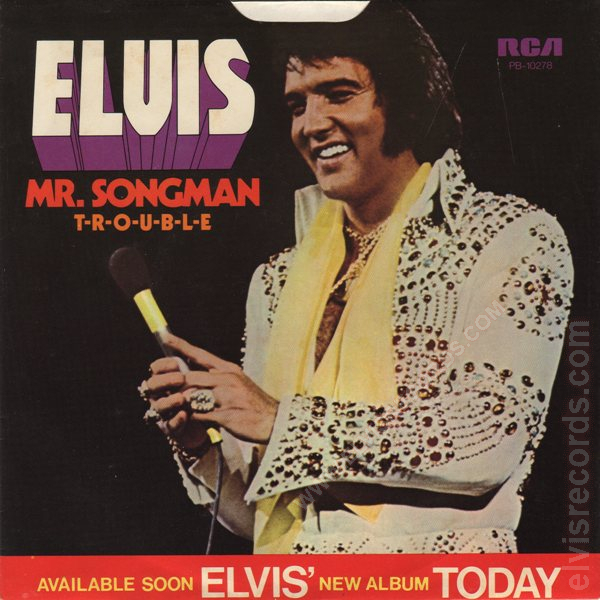 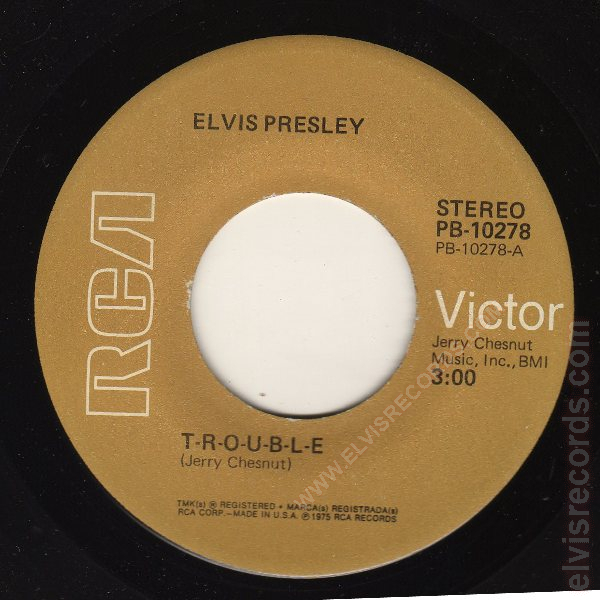 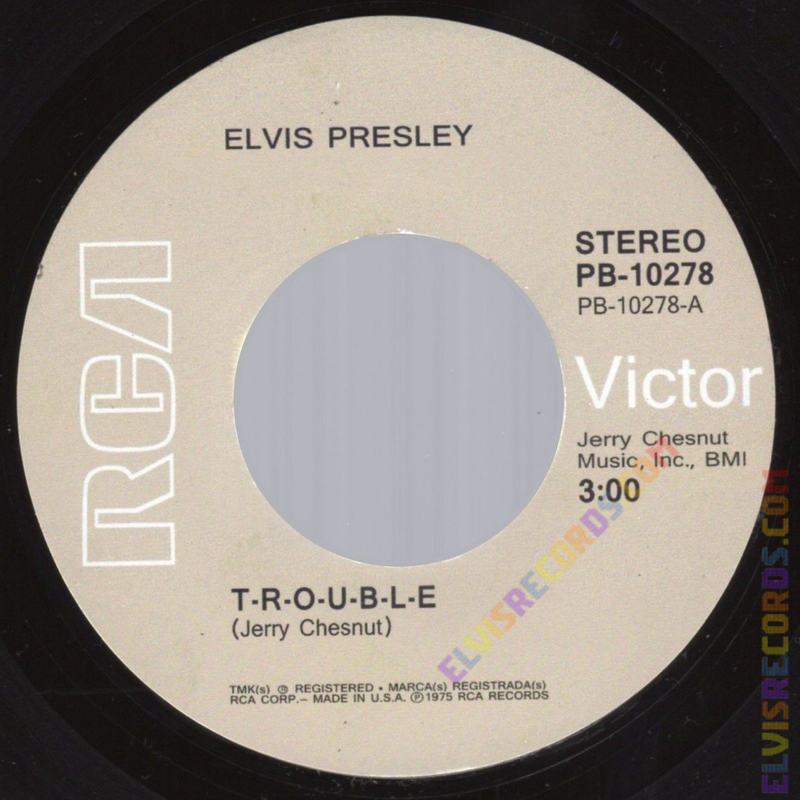 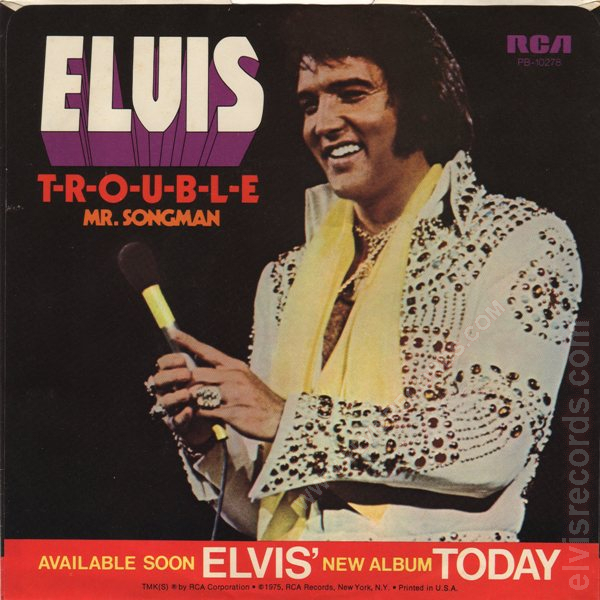 Re-released by RCA Records on 45 RPM as T-R-O-U-B-L-E / Mr Songman on the Gold Standard Series label.